We keep a wide selection of individual cuts of beef and packages of ground stocked in the freezer in the farm shop at the farm. Feel free to stop by and pick up some of our delicious, healthy beef! We offer our delicious wild forest pork mainly in the fall and winter months, with a more limited cut selection available in the spring and summer. Stop by the farm shop for a wide selection of flavorful cuts, including three varieties of tasty sausage! In France, Normande milk, and the cheese and butter made from it, are considered a national treasure. In the same way that only sparkling wines made in Champagne can be called champagne, only milk from Normande cows in Normandy can be use the coveted label Le Lait Pur de Normandie. But a more closely guarded secret, is the fact that among French gourmands, Normande beef is considered the finest beef in France. 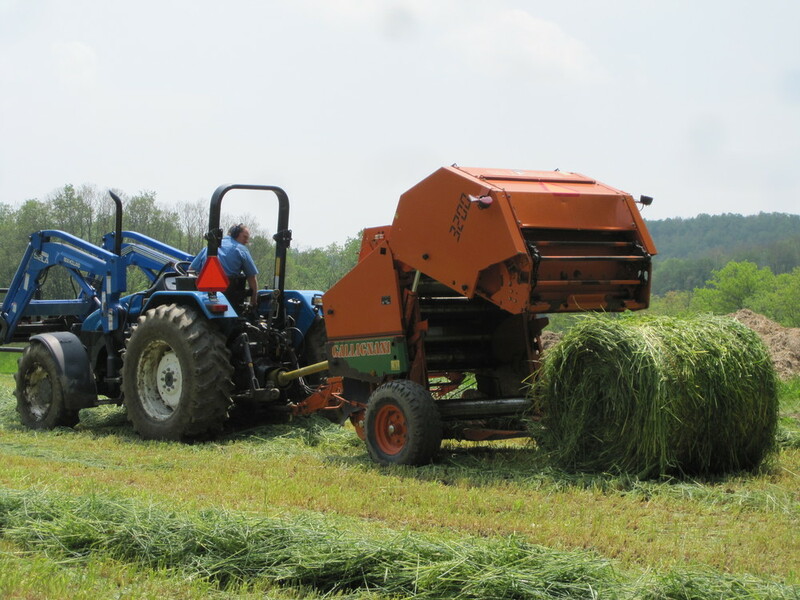 Traditionally raised on pasture and hay instead of grain, the beef finishes beautifully on the sweet summer grasses we have here in New England, and doesn't need to be force-fed corn in a feedlot in order to develop it's deep flavor and tenderness. The beef is lean, and full of old-time rich, beefy flavor. The animals that we raise for beef are treated exactly the same as we treat our milking herd. The calves are raised by their mothers or by nurse cows, drinking milk and grazing fresh green grass. Once they are weaned at 4 months, they are out on pasture full time with their herdmates. Since Normande beef often takes longer than American beef breeds to develop it’s full, rich flavor, the beef animals stay with the herd, grazing certified organic pasture in summer and eating organic hay in winter, until they are 28 to 30 months old. Our Wild Forest Pigs are raised in pig paradise - an overgrown patch of brushy woods and grass just north of the barn. Here in their world there are endless pig entertainments - mushrooms and grubs to root for, great mazes of blackberry canes to tunnel under, stumps to tip over, tree trunks to scratch on. There are dozens of secret pig hideouts, under spruce saplings, inside massive moldering leaf piles, between stacks of rocks. They love it. We think… I mean, we think, because, um... often we can't find them. Every morning and every evening, we walk down to their empire with buckets of tasty things - whey from paneer-making, yogurt probed by pH testers, rinsings from the cream separator. Organic corn and small grains. Apples and pears from the orchard behind the house, kitchen scraps, and the occasional large batch of failed pickles. We call them, and clank buckets, but we rarely find them. We find pig nests, and pig playgrounds, and pig party spots, but no pigs. We know they are inside the fence, because every morning there are fresh rootings and pig trails through the brush. Every morning, the apples and other tasty things are gone from their trough. But we rarely see them. They have become Wild. Tricksy. Well-fed. Happy. Forest. Pigs. But in the end, it turns out even a Wild Forest Pig will come running gleefully for a bucket of maple yogurt. (So will we!) And we’re thankful for that, because with all those tasty treats they’ve been eating, they make for some delicious pork! For those of you looking to stock your freezer, we also offer halves and quarters of our grass-fed Normande beef for sale. Each quarter or half includes lots of nice steaks like tenderloins, rib-eye, and sirloin; a few roasts, and lots of ground beef, shanks, stew meat, and soup bones. If you a have a friend who wants to share, halves and quarters can be easily divided among parties who can play nicely together. If you would like a half or whole animal all to yourself, you can choose exactly how you would like the meat divided into cuts. We are happy to help with filling out a cut list. Halves and quarters are offered for sale only in the fall. We require a $100 deposit, that will be credited toward the overall price when the beef is picked up. Please complete an inquiry form so we can let you know more about availability and better serve you. Thank you for your interest in our grass-fed beef, we love it too! We'll be in touch soon to let you know more about what we have to offer right now. 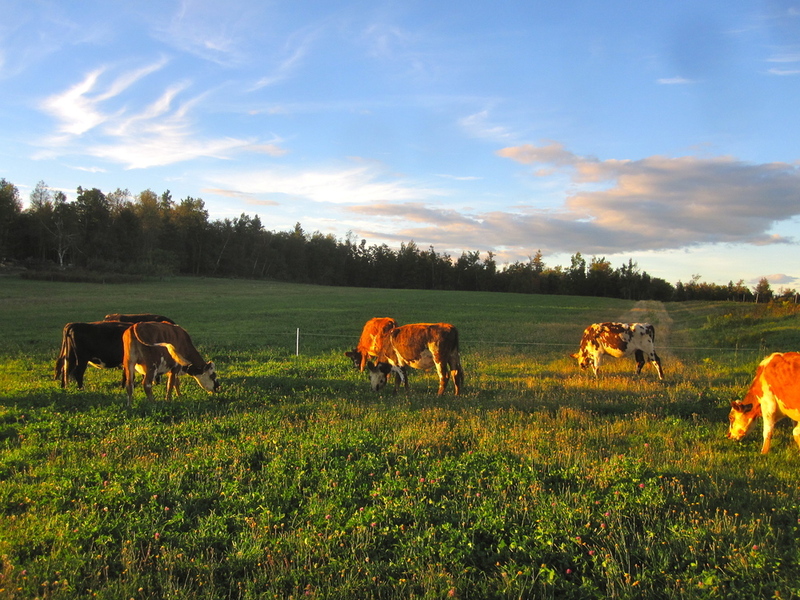 Grass-fed beef is much leaner than conventional, grain-finished beef. It has less intra-muscular marbling, and therefore is susceptible to drying out while cooking. 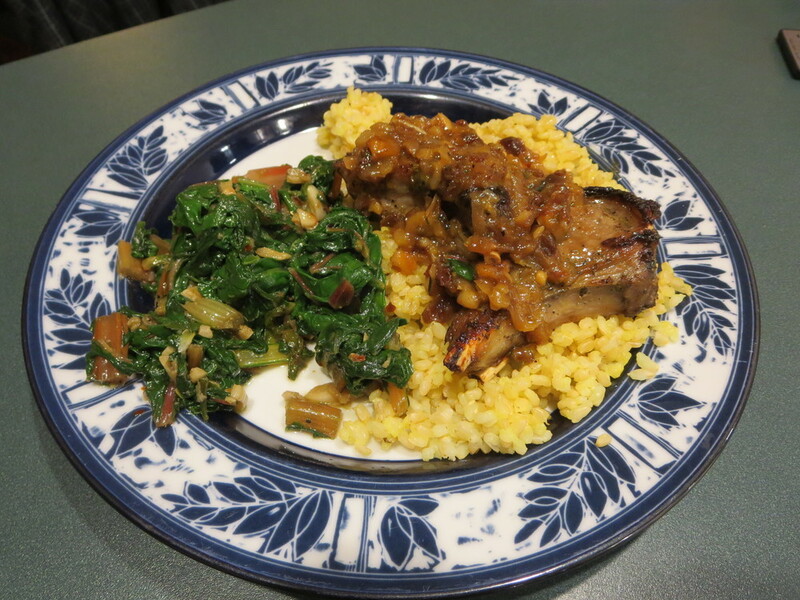 (Of course, it’s also much healthier, and has a richer, deeper beef flavor!) Steaks and burgers should never be cooked beyond medium rare. In moments of hesitation, err on the side of cooking less. You can always toss it back in the pan for a minute or two, but once it’s overdone, it’s finished! Marinating steaks and roasts is a great idea, and burgers will not be harmed by a pat of butter or some olive oil. Let your meat thaw completely before cooking. Grass-fed meats are at their most tender when they have been slowly thawed in the fridge for up to a week. Cooking partially frozen beef will result in a disappointing texture. If you need to thaw ground beef quickly, you can place the package in a bowl of cold water, and let it sit on the counter until thawed. Thanks so much for taking the time to properly cook this beef. 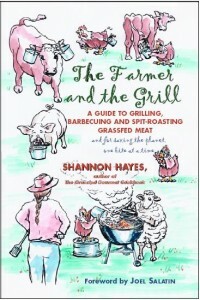 For in-depth notes and recipes, we highly recommend The Grassfed Gourmet and The Farmer and the Grill by Shannon Hayes. You can order these books directly from Shannon at www.grassfedcooking.com, or (518) 872-7595. Her family raises animals on grass in the Albany area, and she wrote these books with her customers in mind. For those handy with a thermometer, Shannon recommends maximum internal cooking temperatures of 120-140° for steaks and roasts, 160° for ground. We use a thermometer all the time now when we cook beef, and not only is it easy, but it has dramatically increased our rate of cooking perfect steaks and burgers! The sun, soil, grass, and cattle are largely responsible for what lies before you. We have done our smaller part, with an honest attempt at respect amidst the busyness of daily life. We knew these animals well, and a couple were our friends. This is difficult, and it’s part of eating honestly. The remaining steps – the cooking and the eating – are up to you. We thank you in advance for your attention, and for any pleasure you find in preparing and eating this meat.